Mercedes Benz S-Class has been the acme of luxury executive motoring, blending luxury, comfort, and tech in a car that is sharply styled to stand out, yet amply understated to deliver a classy statement. The German luxury marquee has recently launched their flagship S with new engines, tech enhancements, and subtle but effective style updates. It's a facelift variant and essentially comes with some style upgrades over the car it replaces. To start with, it gets a restyled signature Mercedes grille, restyled front bumper and a new set of headlamps. The new ‘triple torch’ design headlamps get three LED DRLs which looks super cool (it is interesting to note that the C-Class has got one, E-Class two and the S-Class three LED strips). There is a centre blank spot on the grill which looks pretty geeky, actually hides all the radar stuff and sensors that aid the new advanced driver assist system which comes with the new S-Class (hold on, we will take you there shortly). Coming to the side, the new S-Class gets a set of freshly designed alloy wheels. Smooth flowing lines with minimal creases render the car an understated but elegant side stance. India gets the long-wheel-base version (L-5255 mm, W-1899 mm, H-1494 mm and wheelbase- 3165 mm). There is a slim chrome line just above the running board. At the rear you get a set of freshly designed crystal LED rear lights and a restyled bumper. The twin exhausts get chrome garnish which adds to the class. Step inside and you are treated to a simple but supremely elegant and well-laid out interior. Each and every element you spot inside simply reeks quality and superlative workmanship. One thing we noticed inside the S-Class cabin is that you don’t get overwhelmed by tech and wizardry packed in; rather the cabin slowly handholds you into its world of luxury and class. The two massive digital screens blended together is the first thing that catches your attention. They offer unmatched crisp and sharp display. The infotainment system also gets Android Auto and Apple CarPlay smartphone connectivity. The new generation three-spoke design multifunction steering wheel is draped in Nappa leather is a treat to the eyes and offer superior feel and packs in a whole host of control abilities. This time Mercedes-Benz has integrated the cruise control in the left-hand grip area of the steering wheel. Also, there are highly intuitive touchpads which can control many features of the two digital screens. There is an ergonomically designed swivel wheel along with touchpad at the centre which can be used both by the driver and the front passenger. The car offers you an immersive music experience. The Burmester® surround sound system with 13 speakers along with a 9-channel DSP amplifier with an impressive output of 590 W offers unparalleled sound quality with virtual all-around sound and vehicle noise compensation (VNC). The car also offers wireless charging system for charging your phone wirelessly. You can choose 64 colours for the ambient light inside the super-rich cabin. The front and rear seats offer a great amount of leg and shoulder room. The electrically adjustable rear seats offer first class airline comfort and features. It is interesting to note that E-Class LWB is only a shade smaller than the S-Class in all dimensions. 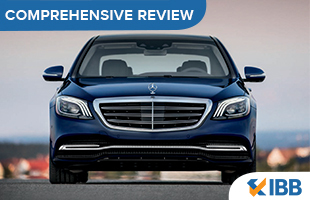 The S-Class comes with two new set of diesel and petrol engines. This 3.0 litre straight-six diesel engine dispenses a peak power of 286 hp and a max torque of 600 Nm. More than outright acceleration the smoothness in which the car builds up speed is the talking point of this super silent motor. It breaches the triple-digit mark in just 6 seconds flat. Coupled with a smooth and fast shifting 9-speed automatic gearbox, this car gobbles miles with ease. This 3.0-liter V6 petrol motor develops a peak power of 367 hp and a peak torque of 500 Nm. This petrol motor has got loads of torque right from the low rev range and has got a meaty power band. This motor is highly refined, smooth revving and quick. This engine is also mated to a super quick and buttery smooth auto gearbox. It may be a very large car; however, it is surprisingly easy to hustle in the city. The steering is surprisingly nice and light.  This car rides on standard fit air suspension and offers a smooth and a superior ride. On the smooth tarmac at high speeds it just glides and in fact, you feel that you are just flying above the surface and it really does by filtering out the undulations. The car behaves well in the corners. However, understandably it is not a sharp handler. The handling is pretty crisp and tight in the dynamic mode.